AMMONNEWS - A team of the Ministry of Foreign Affairs and Expatriates visited Jordanians who were injured in the terrorist attack on mosques in Christchurch, New Zealand and were assured they were receiving the necessary medical treatment, the ministry's spokesperson, Ambassador Sufian Qudah, said. Jordan's Ambassador to New Zealand, Ahed Sweidat, who heads the delegation, said that periodic reports indicated that three of the injured were in stable condition, while two others are in critical condition. 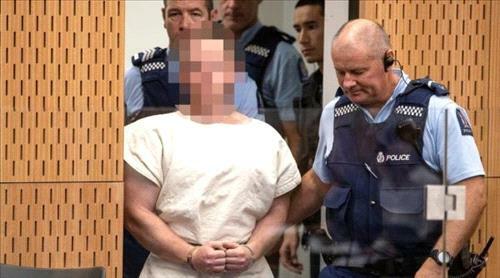 He said that the New Zealand authorities are taking "exceptional" care of the injured, and one was taken on a helicopter from the Christchurch Hospital to an Auckland Hospital so that he can be next to his daughter who was also admitted there. He said that the ministry team had visited the condolence homes of the Jordanians who were killed in the attack, noting His Majesty King Abdullah's directives to provide support to the families of the martyrs and the injured, and meet their needs in New Zealand and at home. The Jordanian families thanked His Majesty for his care, lauding the royal instructions to the government to stand by them in this tragedy.